The globe-spanning, fast-paced TV thriller Strike Back returns for its fifth and final series. Taking influence from real-life headlines, the show focuses on two members of the top-secret intelligence agency, Section 20. Following a terrorist plot to deploy a massive store of WMD, the thriller charts the trials of agents Michael Stonebridge and Damian Scott as they attempt to intercept deadly terrorist, Latif. 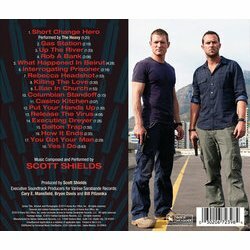 All five seasons have been scored by composer, producer and songwriter Scott Shields. Known for his work on a number of feature films, television series and album recordings, Shields is also a multi-instrumentalist and a rock musician. 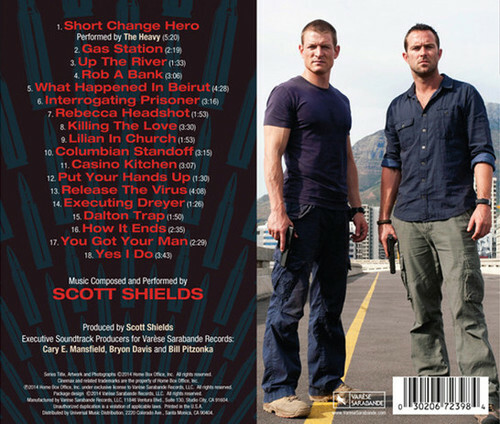 It comes as no shock, then, that over the course of the Strike Back series, he has expanded his instrumental focus. Initially featuring militaristic brass and percussion, Shields has since experimented with high intensity electronics and rock music. Interweaving heavy and loud rock pieces with brooding synthesized tracks, Shields creates a tension between action sequences and moments of strategy. Throughout the soundtrack, the pressure never lets up, delivering a greater sense of the thriller narrative over the course of the entire program. Mixing electronics with eastern pipes and melodies, Shields collides the cultural aspects of the plot, playing each side off against the other, just as the characters do within the show. Having developed his score alongside each series, Shields has mastered the narrative world, effortlessly creating tension and building suspense within each of the themes. While rock cues such as “Gas Station” and “Up the River” are sometimes a little much, they are eased by gentler fare, such as the downbeat “Rebecca Headshot.” In fact, it is within the quieter moments that the soundtrack really shines, highlighting Shields’ rhythmic abilities. Structuring offbeat, punchy pulses against one another, the composer crafts an uneasy and yet subtle sense of dread, as if the ticking of time has somehow become unbalanced. On the whole, Shields’ final offering to the Strike Back series is successful, mirroring the high-octane world in which the thriller is centered. If the music becomes a little overwrought from time to time, it’s not to the detriment to the soundtrack as a whole piece. Keeping in tone with its onscreen counterpart, Shields’ score is fast-paced, rhythmically sound and unashamedly loud. 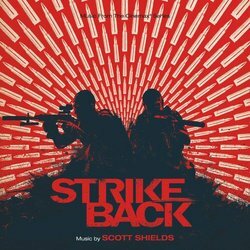 Strike Back is a British action and military television series, based on a novel of the same name by novelist and former Special Air Service (SAS) soldier Chris Ryan. The series follows the actions of Section 20, a secretive branch of the British Defense Intelligence service (DI), which operate several high risk, priority missions throughout the globe. All of the score tracks were written and performed by Scott Shields. He is from Glasgow Scotland, and for a time was the drummer for the UK rock band Gun. More recently he has become known as a composer of music for film and television with his work being seen on many hit Hollywood films such as Blackhawk Down, Mr. & Mrs. Smith, Stardust, The Young Victoria, Kickass and The Raven. His TV work includes the hit HBO series Strikeback, Project Dawn as well as Waking The Dead, The Fixer, Trial and Retribution and Murphys Law. The soundtrack features the score from season three and four of the series. Also, includes the show’s theme song “Short Change Hero” by the popular British rock group The Heavy.